Let’s face it, even if you don’t know a huge amount about our universe (there is, after all, still so much to learn about it), it can’t be denied that it’s truly an awe-inspiring place. We all know that it’s a gargantuan place where all life as we know it comes from, but the sheer scale of it can be just mind melting. Sometimes it hurts our heads just thinking about it. So let’s take it a step further, shall we? 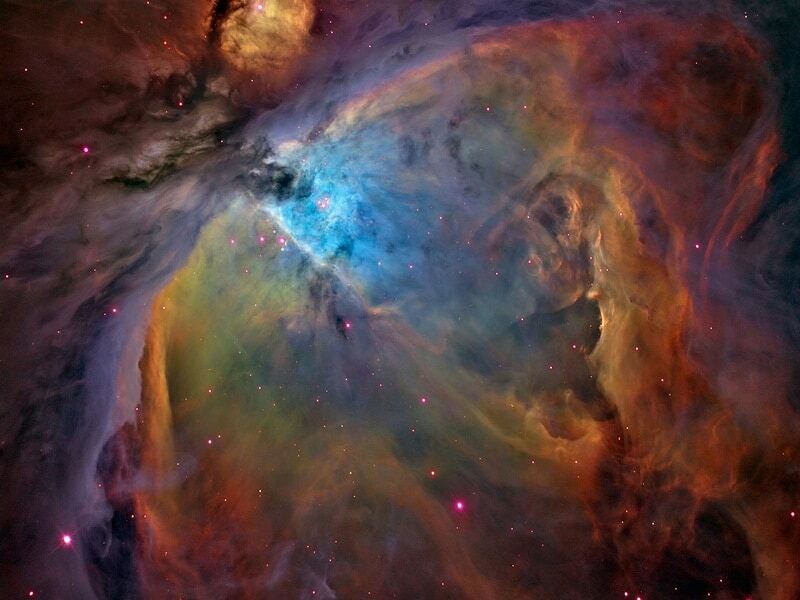 Here we present fifteen of the most mind blowing facts about the cosmos that we could find. We’re betting there are at least a handful here that you never knew before. Prepare to feel small. How far up would you need to travel in order to reach outer space? Watching live coverage of shuttle launches makes it looks like it takes mere minutes at top speeds. 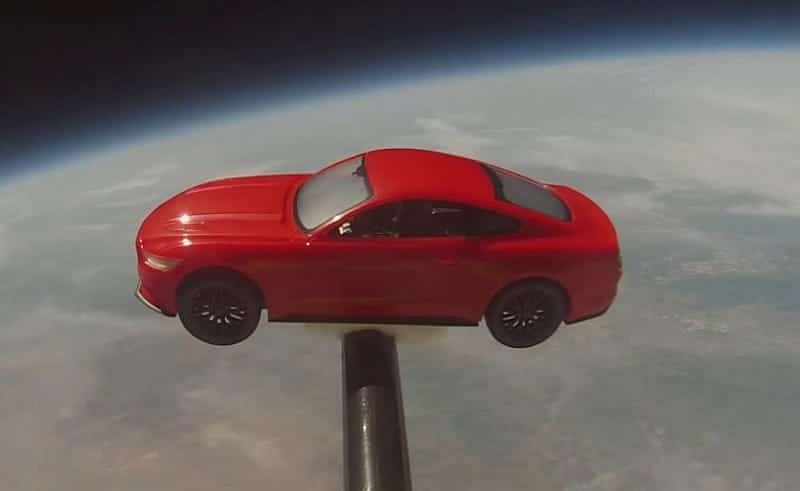 But what if you could travel straight up in just your car? Well, according to the magic of maths, if you got in your car and was somehow able to drive vertically without stopping, you would be able to reach space in about an hour if you maintained a speed of 60mph (95km/h). This means space is much further up than we realize. Think about it in terms of an average drive to the city. When you’re sat in the car on the motorway going at a constant speed, an hour seems like such a long time. Only there are no toilet breaks when punching through Earth’s atmosphere. Now we’re just picturing Burger King restaurants and Premier Inn hotels being built halfway up the sky. When we talk about statistics, we humans like to draw comparisons to things we are either familiar with or are at least comfortable with imagining so our tiny minds don’t implode. When it comes to the discussion of planets in terms of their size, we always think about how big they are rather than how small they are. Despite the fact that Pluto was declassified a few years ago and is now classed as a dwarf planet, we still think of it as part of the gang. It’s been with us for too long to just brush it off. Stay with us Pluto. We love you! 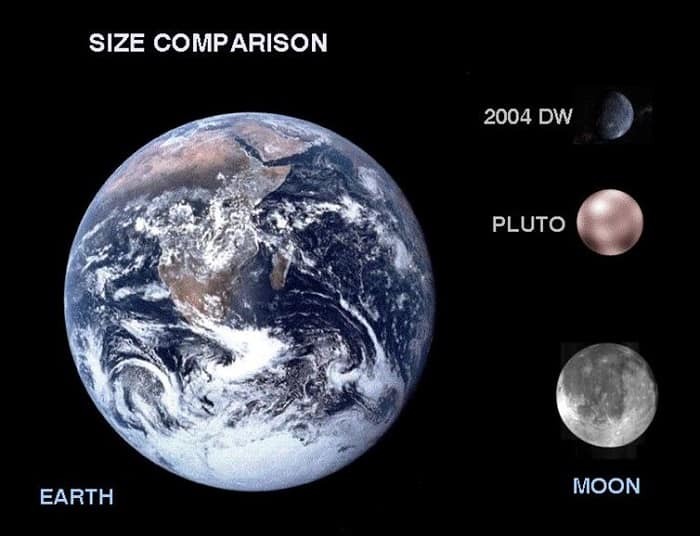 But in this instance, Pluto is so small that Russia actually outranks it. With a land mass of 17 million square miles, this huge country is larger than Pluto (which clocks in at around 16.6 million square miles). This means we have an entire country here on earth that can potentially beat up an entire lunar satellite. Sometimes when we think about Earth and the place it holds in our universe, we get this conflicting idea in our head. While we know our planet is moving through the cosmos, it’s hard to actually imagine it because we can’t feel ourselves physically going anywhere even when we’re aware that we must be in motion. And boy are we in motion! We’re in so much motion it’s a wonder we don’t all just get swept into the cold recesses of deep space. 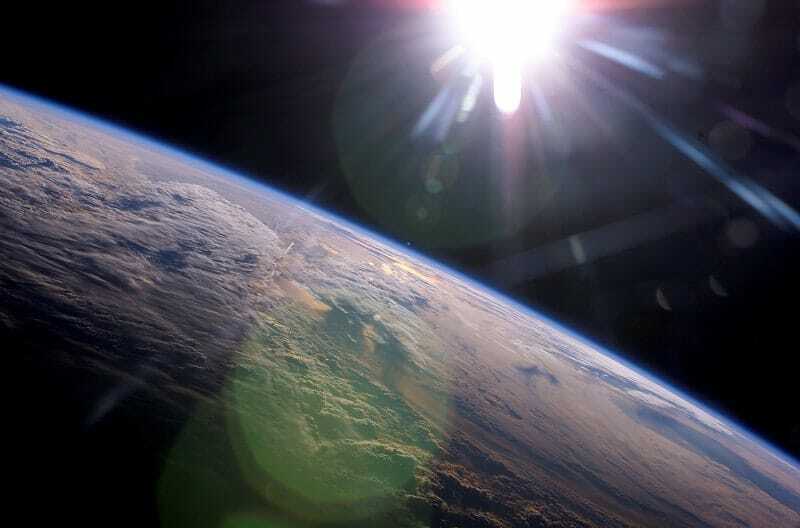 The earth alone is travelling at a face-stretching 67,000 mph around the sun. And it’s not just moving forward. 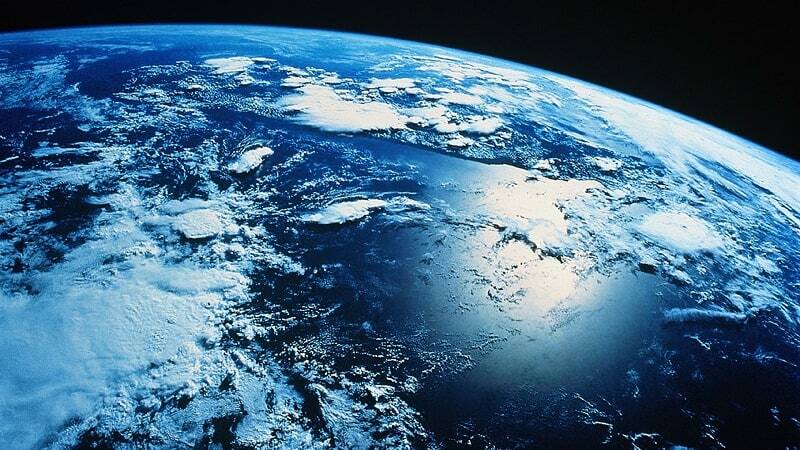 Our planet is also spinning on its own axis at a velocity of 1,000 mph. Usain Bolt – arguably one of the fastest people on the planet – can run at top speeds of 27.79 mph. Let us all take a moment to thank our lucky stars we have so much gravity pinning us to the ground. Speaking of gravity, we’re all fully aware of its basic functions. It stops us from falling off the surface of the earth and it gave Sir Isaac Newton one hell of a headache, which ultimately lead to the theory of gravity. 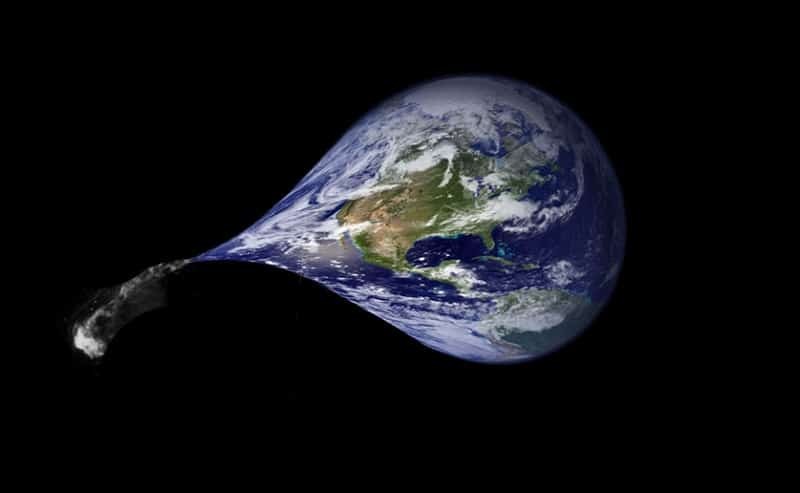 But what many people don’t realize is that – according to another theory put forth by Albert Einstein in 1907 – gravity also influences not only space, but time as well. 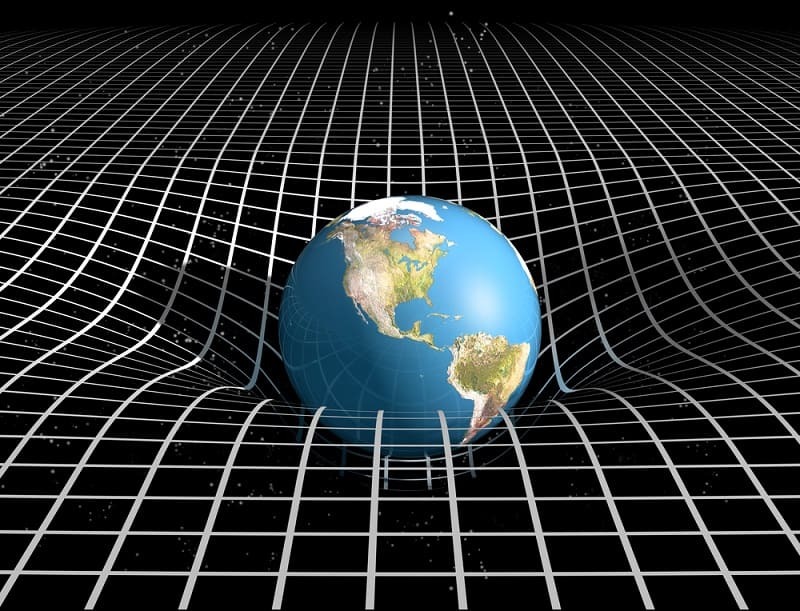 Known as gravitational time dilation, the hypothesis states that gravity pulls on time itself, distorting it. If true, this means that the further an object is away from Earth (i.e. further from gravity’s influence), the slower time becomes. This has actually been observed in atomic clocks which have been placed at different altitudes. The higher up the clock, the slower it ticks. While it may only be off by a few nanoseconds, it’s still an interesting theory that is actually measurable. Some of you are probably already aware of this fact, but it still speaks volumes of how far away our sun is and thus how big the universe actually is. According to science, light travels at 299,792,458 meters per second, which is about the amount of time it takes us close an intrusive pop-up ad. But seriously, even though some of us have been aware of this from a young age, it doesn’t lessen the mind blowing qualities of it. 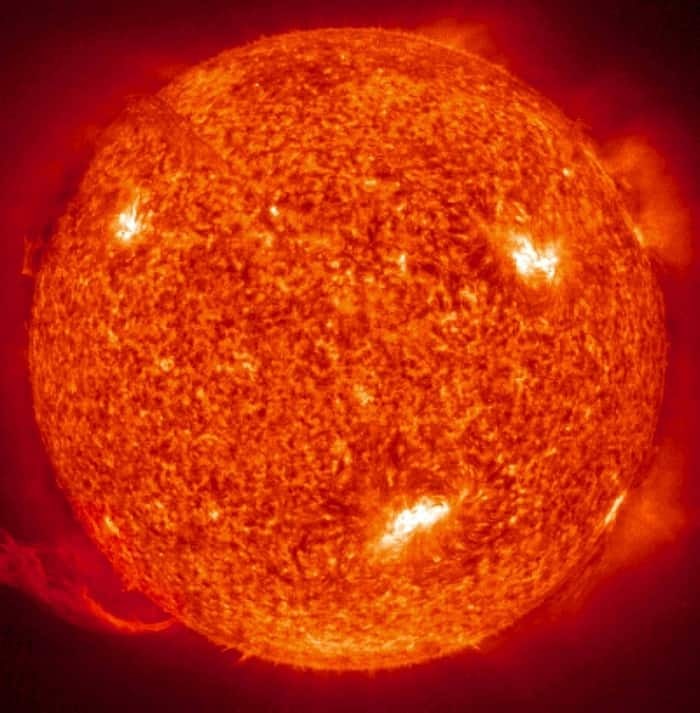 Given the sheer speed of light then, it’s staggering to think that it still takes nearly ten minutes to reach us from the surface of the sun (the actual time clocks in at precisely 8 minutes 17 seconds. Thank you Wikipedia!). Wait, so does this mean that if the sun suddenly went out, we could technically watch an episode of Bugs Bunny before we even noticed? Yeah, keep that thought in mind next time you start marathoning YouTube videos. Let’s talk about the sun some more. It is, after all, the giver of life on our planet and the reason we can wear sombreros and eat ice cream in July. We know it takes the earth 365 days to revolve around the sun, but how long does it take the sun itself to revolve our entire galaxy? We’re glad you asked. While there is no definite answer to this, estimates place the figure somewhere between 225-250 million years. You read that right, it takes nearly a quarter of a billion years for our nearest star to go around the Milky Way. To put that into some perspective, it takes our entire solar system (that’s you, us and Jupiter over there) just 90 seconds to move 12,500 miles (or 20,000 kilometers). And yet many of us can’t stand the velocity of a roller coaster ride. Oh and for anyone who’s interested, the term used to describe the sun’s revolution around the galaxy is a “cosmic year”. Far out. Okay so if it takes our sun around 250 million years to go around our galaxy, exactly how big is the Milky Way? The short answer is: huge. Like, mind bogglingly vast. It’s so big that our puny minds can’t even comprehend just how large it actually is. Fortunately, science has shown the way once more. With an estimated 300 billion stars within just our galaxy, the Milky Way is said to be approximately 100,000 light years across in diameter. In order to grasp the enormity of that, we first have to understand exactly how big a light year is. Are you ready for this? One light year is equal to 9,460,730,472,580,800 metres. We can’t even say what that number is. And if that’s one light year, what the hell is 100,000 light years?? It’s approximately 1,000,000,000,000,000,000 kilometres. In other words, one quintillion kilometres! Do you need a break yet? Are we going somewhere with this? Why yes we are. Within G34.3 there is estimated to be enough alcohol contained in it to produce 400 trillion trillion pints of beer! It contains Ethyl, which is the kind of alcohol that’s suitable for human consumption. It was discovered by Dr Ben M Zuckerman in 1975 and later discoveries were confirmed by a team of British scientists. To be honest, we’re not interested in any of that, we just want to know one thing: who’s up the galaxy’s biggest beer run? No matter how much some people think of themselves as being the center of the universe, the truth is far more devastating (or satisfying if you happen to know some of these people). For this one we need to return to Einstein. According to his Theory of Relativity (the theory that space and time are one and the same, which we commonly know as “space-time”), our universe has no center. None whatsoever. This idea seems almost absurd to our logical brains. When we talk about something that has a size or is of a certain distance in length, naturally we assume there is a beginning, middle and end. So how can this be? Surely there is a physical beginning and end to the universe. Not necessarily. If the theory holds true, it means that gravity affects space-time in such a way that it bends the entire cosmos into an infinite curve. We…we need to go lie down for a few minutes. Entertain yourselves for a while. How many of you have seen the classic sci-fi horror film Alien? Okay good, so you’re familiar with the phrase “in space, no one can hear you scream”, which is probably one of the most famous movie taglines in cinema’s history. So we’re all pretty comfortable with the idea that there is no sound in space. Despite this, much of science fiction ignores it by having noisy laser battles between spaceships. But it turns out that George Lucas and crew may not have been entirely off the mark. 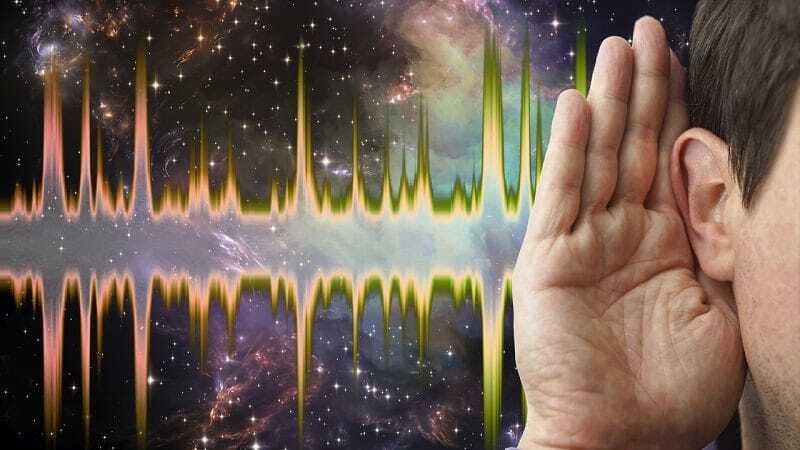 You see in 2013, NASA’s Voyager 1 spacecraft captured some weird sounds coming from our seemingly lifeless galaxy. Okay it wasn’t aliens or Star Wars fans audibly rolling their eyes, it was actually ionized gas captured by the vessel’s plasma wave instrument. It’s not much, but it’s sort of creepy knowing that there may have been sounds in space that we haven’t noticed until now. Everything we’re learning about space in this list is only leaving more and more questions that need answers (the trials and tribulations of discovery, we suppose). So our question here is: if there is no air in space, how can it not only contain sound (minimal though it is), but also a smell? 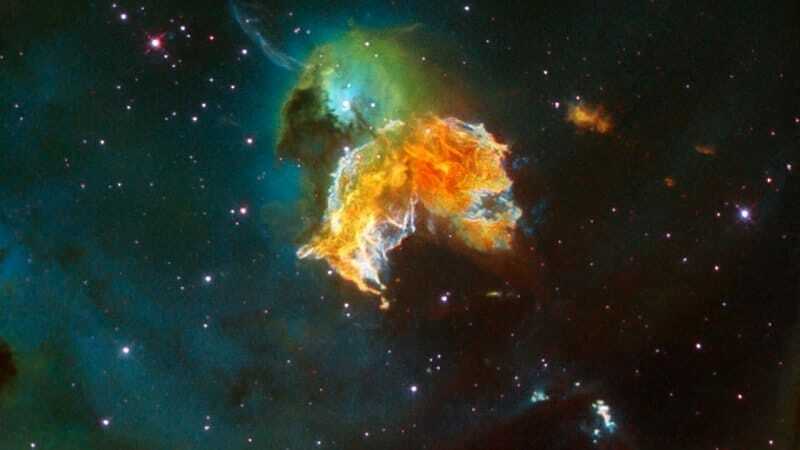 Yes, in certain respects, our universe is a bit of a stinky place. But what does it smell of? According to research and the people who have actually been in space, low oxygen and high carbon give it the right conditions for smells to be carried across the galaxy. 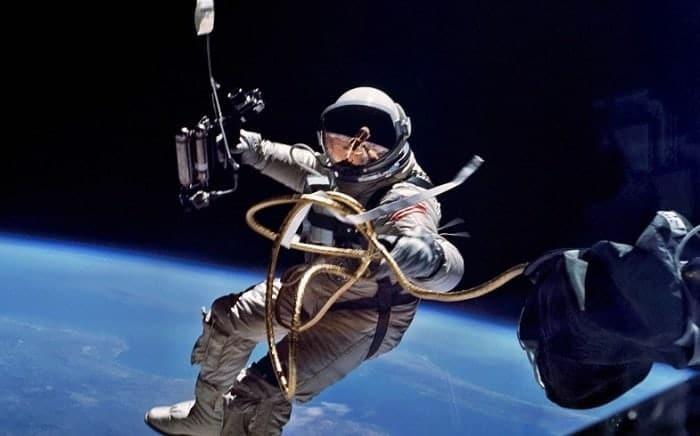 Astronauts report that when arriving back from an expedition into deep space, their suits have an aroma which has been described as burned meat and diesel fumes. Scientists believe this is caused by dying stars. If we had to guess, we’d say it sounds more like there’s an intergalactic truck rally going on somewhere. In short, the Drake Equation is a way of measuring the approximate number of intelligent alien species that could potentially live in our galaxy. According to the creator of the formula, Dr Frank Drake, who discovered it in 1960, if his equation is correct (and there’s no reason to suggest that it’s not), the Milky Way can contain anywhere from 1,000 to 100,000 extraterrestrial civilisations. Given the sheer number of aliens we could theoretically come into contact with then, we’re surprised we haven’t bumped into some of them already. 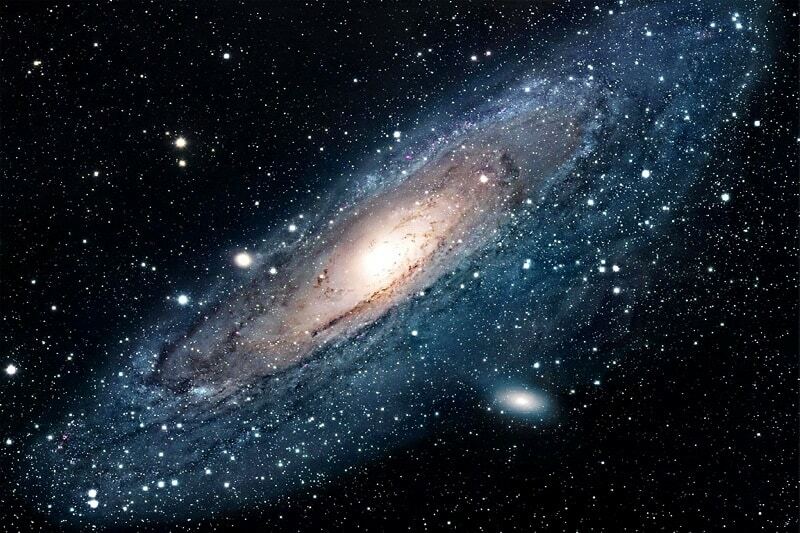 But think back to before when we said that our galaxy contains around 300 billion stars. Of those, two billion of them are said to be planets. So now we understand just how few alien lifeforms there may be out there and how unlikely it is for us to contact any of them. It’s possible we could be high-fiving aliens in the future, but two billion planets is a lot of mileage to cover. Woah. We’re not sure if we even want to delve deeper into this one. This idea goes back to Christmas 1984 (specifically December 27th). A crashed meteorite was discovered in Antarctica which is said to have originated from Mars. Since then, the meteor has been through intense analysis; mostly with the help of electron microscopes and some beard scratching. In 1996, twelve years after the initial discovery, scientists found evidence of extraterrestrial bacteria. A theory suggests that, perhaps due to the similarities between this bacteria and what we have on earth, we may have begun life far away from this planet. In fact, it’s not just humans who may have not originated elsewhere. 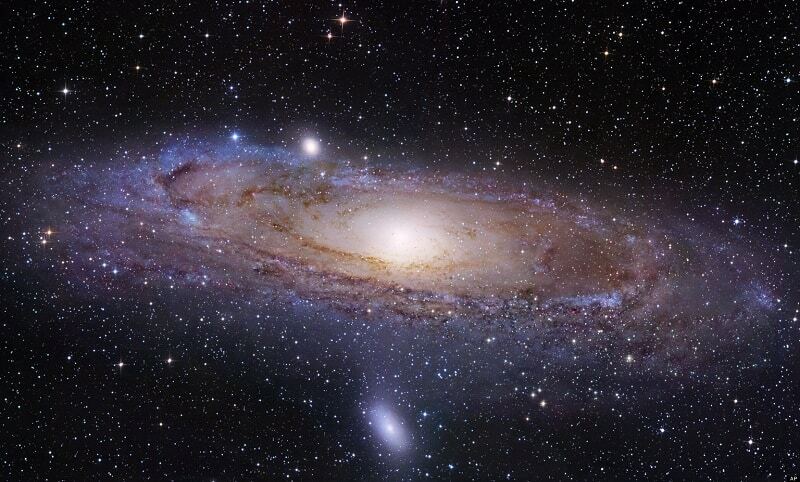 Experts are debating whether or not all life was born from another planet. We’re kind of hoping (though a little terrified) this could be true, because it means we have all, in some molecular way, been to outer space. 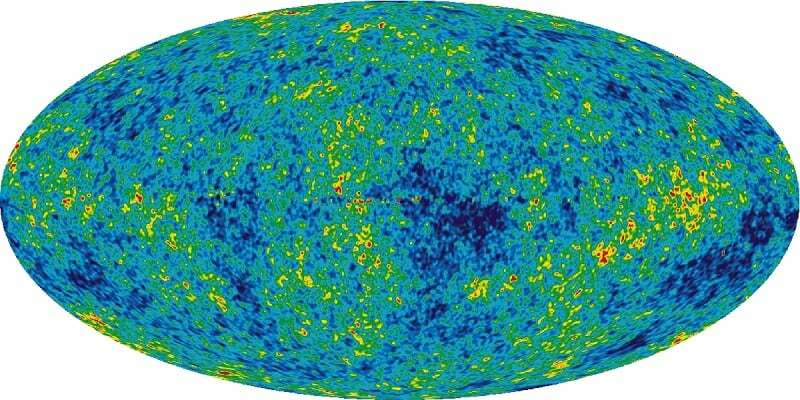 The universe is really, really old. There. Done. See you later. Oh what. You want more? Okay then. This is a baffling question even to ask. Exactly how do you go about answering something like this? It’s essentially the ultimate question, sort of like asking what the purpose of existence is. Only with this one, science has managed to come up with a rough estimate. While science is certain that the universe began with what is now known as the Big Bang, there is an open debate about how it will all end. It’s a touchy subject admittedly, but you’re curious enough to keep on reading aren’t you? Anyway, scientists stipulate that the universe has a certain amount of energy. This energy is not infinite and over a long enough period of time, it will eventually run out, like the last splutters of fuel that gurgle out of your car’s petrol tank. This is known as the Law Of Entropy and there is no stopping it. If energy runs out, the universe will cease to be. Scientists – not wanting to beat around the bush – call this the “Heat Death” of the universe. So how long have we got? No one truly knows. But don’t worry, we’ll probably get hit my a meteorite in half a million years, so we won’t even be around as a species to experience it anyway.